Like some movies I’ve seen recently, the weather in the long term will have it’s good moments, but overall it will be kind of…well…meh. What is meh? Meh is an utterance that people make after being asked about an experience they thought was mediocre. You get the point? In the short term, I think the little utterance we’ll use is “Eww” as Saturday night through Tuesday morning we have quite a bit of stormy weather to talk about—well, stormy on April’s standards, probably quite wimpy on November/December’s standards. Tomorrow will be partly to mostly cloudy with light rain in the morning and just clouds /sunbreaks in the afternoon but overall it looks like a better day to go some egg hunting. Highs will be in the upper 40s to lower 50s. Mother Nature puts on a magician act Monday as she pulls out several of her tricks: fast moving clouds, periods of blazing sun, heavy downpours, hail, wet snow, lightning and thunder. The latter half of the list is not for certain, and it typically never is, but be prepared for a crazy weather day Monday. Highs will stay close to 50º. After some wet snowflakes Tuesday morning, we turn to mostly cloudy skies and showers with cool highs in the 40s. It’s not until Wednesday that we can retire the “meh” and use the “ah” as the sun comes back out to visit and the temperatures warm up again. How warm is still a bit iffy, but it’s looking warmer and sunnier through the latter half of the week! And then by the weekend we started muttering “meh” left and right as the clouds and moisture increase. 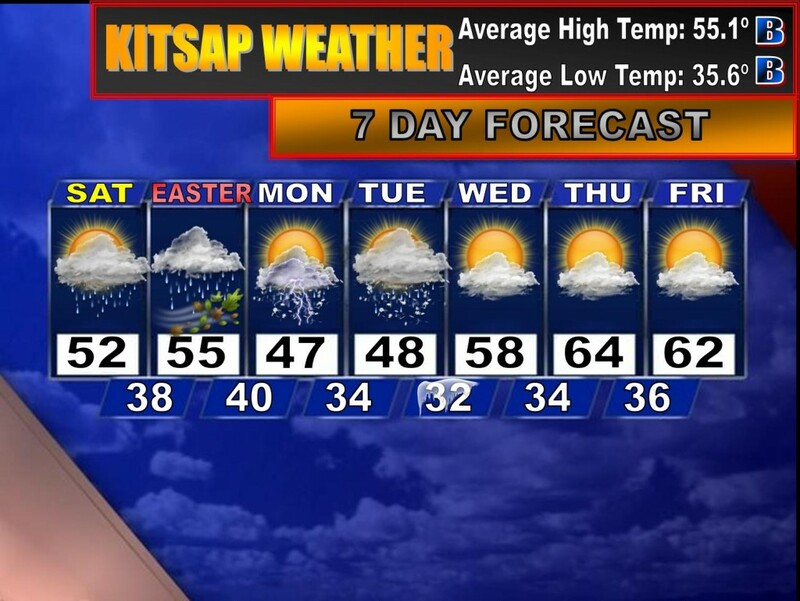 We play the same tune for next week with a mix “meh” days and “ah” days.